Iraq's prime minister has demanded the Kurdistan Regional Government "cancel" the outcome of the referendum on independence that it held on Monday. Haider al-Abadi said he would "never discuss" the result and called on the Kurds to initiate dialogue "in the framework of the constitution". He also vowed to "impose Iraq's rule" in all parts of the Kurdistan Region. The referendum's result has yet to be announced, but people were expected to overwhelmingly back independence. Kurdish leaders have said a "yes" vote will give them a mandate to start negotiations on secession with the central government in Baghdad and with neighbouring countries. In a speech to the Iraqi parliament on Wednesday, Mr Abadi insisted that he would "never have a dialogue about the referendum" with KRG officials. "If they want to start talks, they must cancel the referendum and its outcome," he said. The vote was opposed by Mr Abadi's government and much of the international community, which expressed concern about its potentially destabilizing effects, particularly on the battle against so-called Islamic State (IS). Kurdish Peshmerga forces have helped drive the jihadist group from large parts of northern Iraq since 2014, when the Iraqi army collapsed and lost control of several cities. Iraqi Kurdish referendum: What is at stake? Mr Abadi said his priority now was to "preserve citizens' security" and promised to "defend Kurdish citizens inside or outside" the Kurdistan Region. "We will impose Iraq's rule in all districts of the region with the force of the constitution," he added. 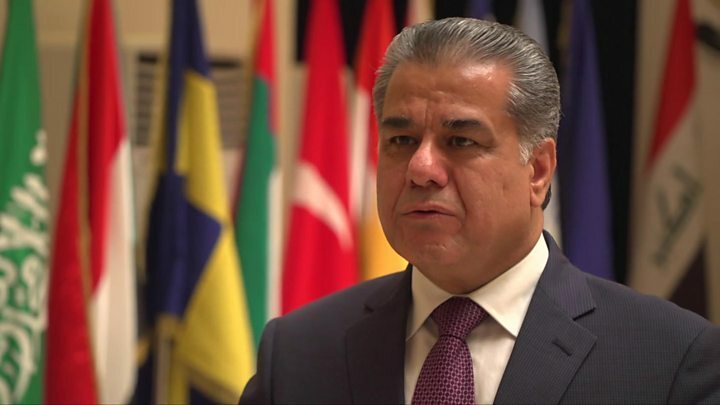 The prime minister also reaffirmed his threat to prevent direct international flights to the Kurdistan Region if Baghdad was not given control of Irbil and Sulaimaniya airports by Friday afternoon. 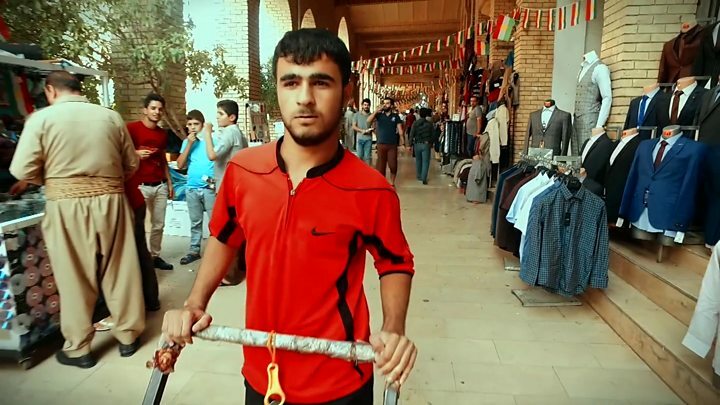 He has also demanded that the KRG hand over control of all border crossings and oil revenues. Earlier, KRG Transport Minister Mowlud Murad appeared to reject Mr Abadi's ultimatum. "We don't understand how to give them the two airports," he told a news conference in Irbil. "They are already subject to the Iraqi Civil Aviation Authority." The United States, which was "deeply disappointed" that the referendum was held, has also questioned Mr Abadi's threat to ban international flights. The state department said such a move "would not be an example of engaging constructively". Lebanon's Middle East Airlines and EgyptAir meanwhile warned customers they would halt flights to and from the regional capital, Irbil, from Friday until further notice. The referendum was held in the three Iraqi provinces that make up the Kurdistan Region, as well as in adjoining disputed areas claimed by the Kurds and the Arab-led central government that are controlled by Kurdish Peshmerga forces. The Kurdish news agency Rudaw cited local electoral officials as saying that turnout among the 4.8 million Kurds and non-Kurds eligible to vote was 72%. Kurds are the fourth-largest ethnic group in the Middle East but they have never obtained a permanent nation state. In Iraq, where they make up an estimated 15% to 20% of the population of 37 million, Kurds faced decades of repression before acquiring autonomy in 1991.